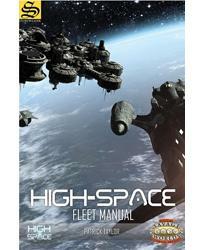 Find out what made HIGH-SPACE 1st Edition a best seller on RPGNow! 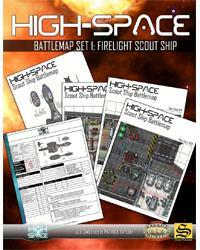 With the introduction of High-Space 2nd Edition, we are offering a special High-Space Legacy Sale... get all three High-Space Core Books + 3 Adventures + System Maps + 2 Figures Sets + Firelight Scout Ship... for just $19.95. A sand box for High-Space! Set on a space station above The Remnant, this game-in-can introduces your heroes into the dog-eat-alien world of prospecting for artefacts in The Lantern Nebula. 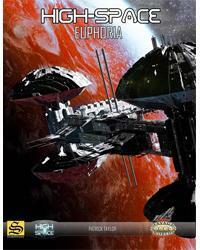 Euphoria is a Game-in-a-Can scenario presented by Storyweaver Productions, and is an excellent way to start gaming in the setting of The Lantern, using the High-Space rules. This adventure is centered around the notorious Altitude Bar on Euphoria, the space-station which orbits above The Remnant - the unstable, broken planet once home to ancient civilizations and now the stalking ground of treasure seekers and artifact hunters alike! This module details the Altitude Bar and other sections of Euphoria, and provides NPC characters and starship descriptions to help kick-start your campaign. The adventure is not linear in the way it progresses. Rather, it is a ‘sandbox’ in which your heroes will adventure. But there is a time constraint... inevitably, the Remnant will undergo a ‘shift’ that unearths a sizeable portion of new land, drawing scavengers and relic hunters like bees to honey! 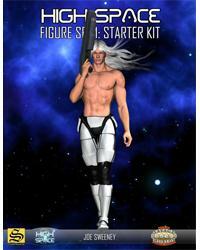 The High-Space paper figure Starter Kit give you 36 human sci-fi minis for use with your High-Space games. The figures include a mix of general public, security, military, technical folks, androids and even a couple of cyber-ninjas! All figures are available in both a ‘tri-fold’ and ‘A-frame’ folds, giving you the opportunity to mix and match the set with other vendors' paper figures: choose the style of figure that best fits your gaming table setup. Politics. Money. Religion. Always an explosive mix. Throw in a floating palace in the clouds, robots and Templars, and you've got the perfect adventure for intrigue and outright conflict! Having successfully delved ‘Into The Remnant’ and uncovered what is only the second Nazmec Tablet in existence, the intrepid heroes now want their payoff! Their best option is to reach the Tor system and negotiate the labyrinthine and deadly practices of the trade in Nazmec artefacts, under the sanctuary of the Council of Churches. If the heroes thought that millennia-old amphibious monsters were bad, they will be in for a shock when they face off against the galaxy’s most ruthless wheelers and dealers! Anyone bidding for a second Nazmec Tablet will want to win, and agents who negotiate can utilise ‘unusual’ methods and tactics. Yes, the bidding will be steep... and it’ll not always involve money. System Maps for all eight core systems: from Tor, Dupheris Sturm, to the mysterious Occasus system. Satellite survey maps for the core populated worlds of Parity, Alecto and Yostra. All maps are presented in stunning color and the unique style of master cartographer and contributor to the Cartographers Annual, Joe Sweeney. Discover why High-Space spent 13 weeks as an RPGNow best seller! 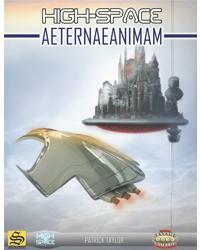 An epic space opera setting with rich cultures and worlds. The PDF bundle that rocked the Savage Worlds word. 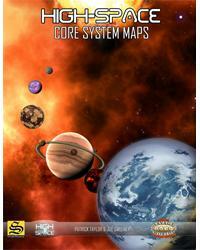 Beautify designed and mapped, this battlemap kit is great value for any sci-fi game. You get 45 pages of 8x8” maps for your minis, covering a 380ft long scout ship, a 75ft long smuggling vessel, and three shuttles and fighters, plus supplemental maps and interactive starship character sheets. 50+ pages of sci-fi goodness for under $10. Amazing! Want more sci-fi action figures for your Savage Worlds games? 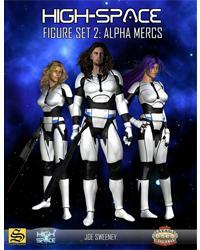 The High-Space Alpha Mercs set gives you 36 sci-fi minis for use with your High-Space games. The figures are mostly military and combat specialists - namely the "Alpha Mercs" - but we've thrown in a few extras as well. In addition, this pack also includes a bonus set of 24 mixed figures, including a jump-pack squad, and some aliens. That's a total of 60 minis! Those who stayed behind in the Altitude bar turn towards Remnant-0C7 when the FTL core of the Daliance ruptures as begins landing on the surface... just after an unexplained EMP blast scrambled the sensors of every starship in orbit. The core rupture bathes Euphoria in an intense white light... and then the Remnant begins to move... a new shift in the Remnant’s already unstable Verdan plate. The planetoid’s tectonic slices, interlocked like the pieces of an intricate spherical puzzle, tilt and slide past each other in new, unexpected directions, some receding into the Remnant’s soil, others breaking through the regolith towards the surface. This could be precisely the event that the scavenger crews, artifact hunters, jump-miners, scientists and U.R.C. officers have been waiting for. There is a rush towards the hangars as soon as the alarm sounds. 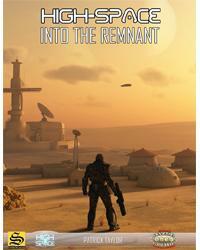 Any ships not already en-route to the Remnant are on their way now! The station intercom announces the biggest tectonic shift on record, pushing what appears to be a large, long-buried land mass to the surface. The announcement indicates a likely exposure of between four to six hours; enough for a skilled crew to make a quick sweep for artifacts and a safe getaway.